Reason for Reading: The Simpsons? Best. Show. Ever. to be able to resist slipping in favourite moments even when it’s not furthering his point. quote into a conversation with a friend. – as was I – for the next mind-blowing riff from the in-house entertainment. other inch of available space. society just around the corner in which probing intelligence will be the desired norm. critiques all you want, but admit it: Homer is the one you love. Scissors by Augusten Burroughs; Stupid White Men by Michael Moore. 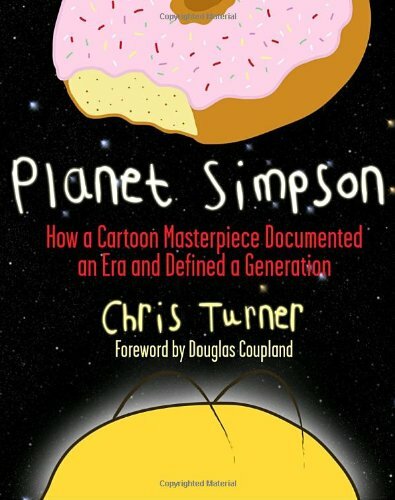 Also by this author: Planet Simpson is Turner’s first book. magazine article that inspired Turner’s book.